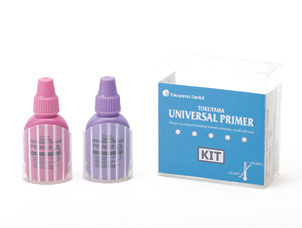 TOKUYAMA UNIVERSAL PRIMER is a primer containing adhesive components that interact with various kinds of prosthetic materials. 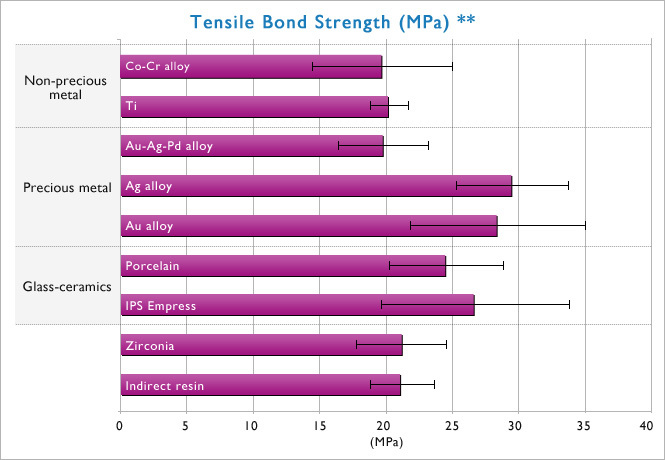 TOKUYAMA UNIVERSAL PRIMER improves the bond strength of polymerizable resin materials (adhesive resin cement, acrylic resin and composite resin) to indirect restorative materials such as glass-ceramics (porcelain), oxide-ceramics (zirconia and alumina), metals (precious and non-precious) and resin materials including inorganic filler. 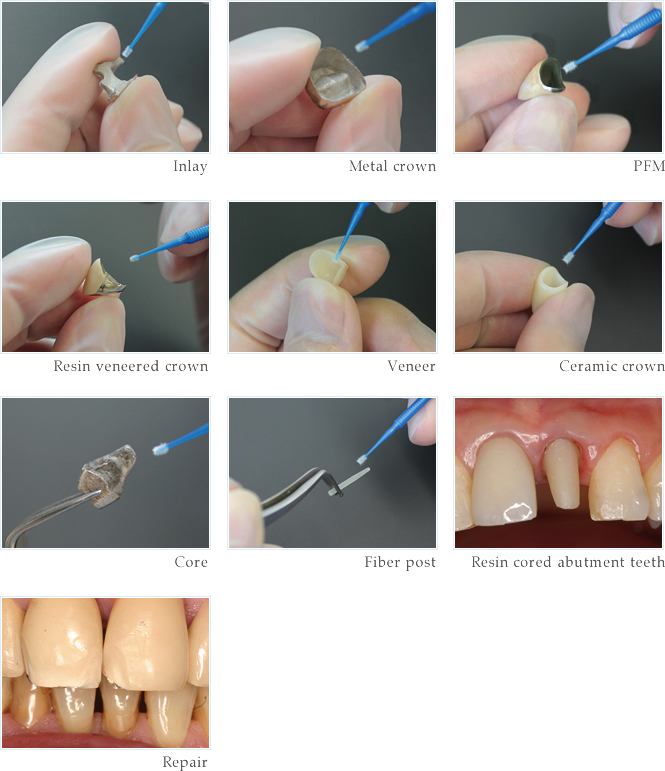 1) Bonding of inlays, onlays, crowns, bridges, veneers, cores, artificial teeth, orthodontic brackets etc. 2) Repair of ceramic, metal and composite materials (including porcelain fused metals). 3) Bonding of denture resin to metal base, clasp or attachment. 4) Repair of denture with metal base, clasp or attachment. 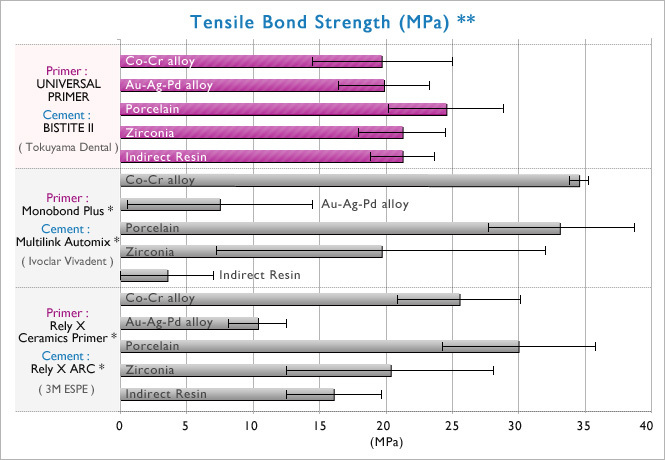 5) Bonding of opaque resin to a metal base in the fabrication of resin-faced stainless steel crowns. *Not a registered trademark of Tokuyama Dental Corp.